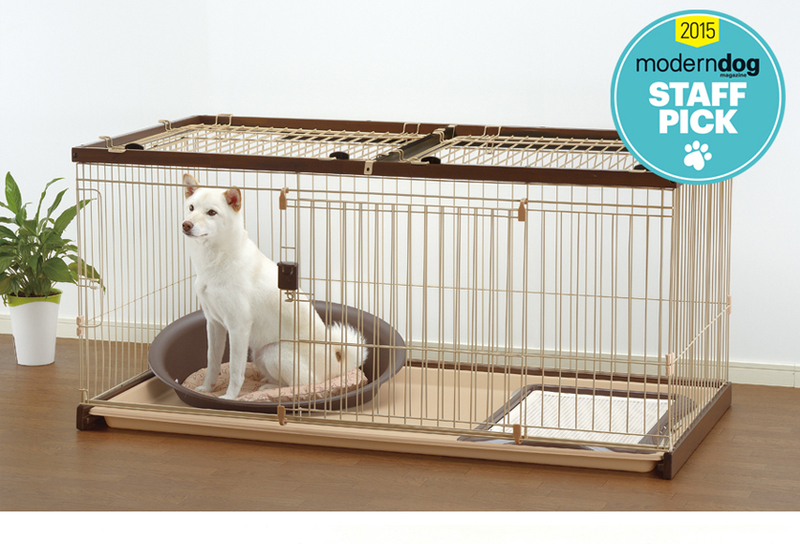 Easy-Clean Pet Crate is selected as a 2015 Staff Pick from Modern Dog magazine! - Richell USA Inc.
Home >> Blog >> Pet and Dog Care >> Easy-Clean Pet Crate is selected as a 2015 Staff Pick from Modern Dog magazine! 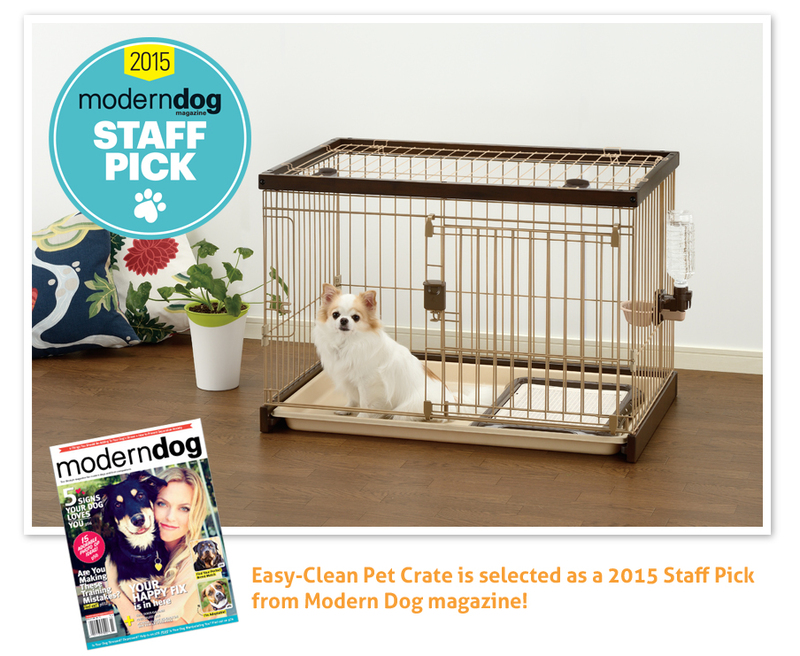 Easy-Clean Pet Crate is selected as a 2015 Staff Pick from Modern Dog magazine! Make cleaning your pet’s crate easier than ever! Richell’s Easy-Clean Pet Crate comes with a sliding tray that can be removed for an easy wipe down. The specially designed sliding door opens smoothly for easy pet access. The tension locking system keeps pets secure in their crate. The wire top is included to keep pets safe. This crate has enough space for a pet bed, training tray, or toys. The Easy-Clean Pet Crate comes in two sizes, Small for pets up to 17.6 lbs. and Large for pets up to 44 lbs.